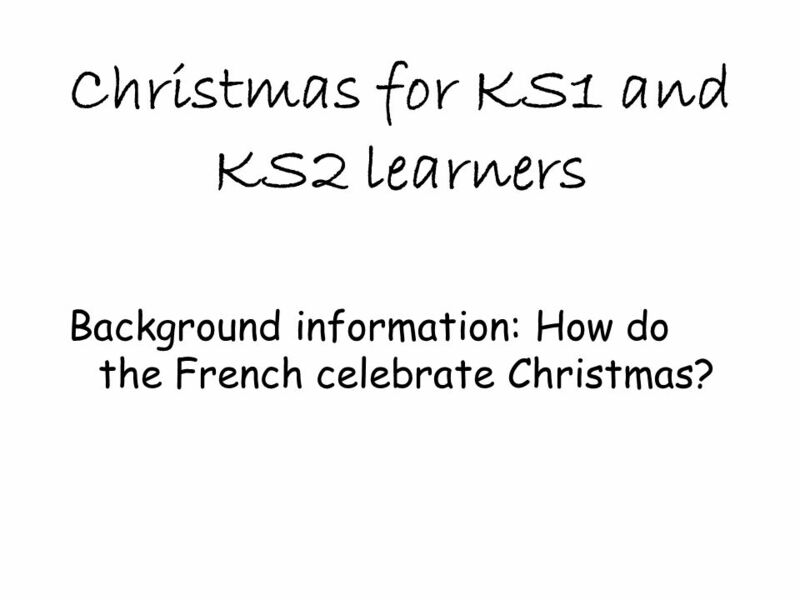 Background information: How do the French celebrate Christmas? 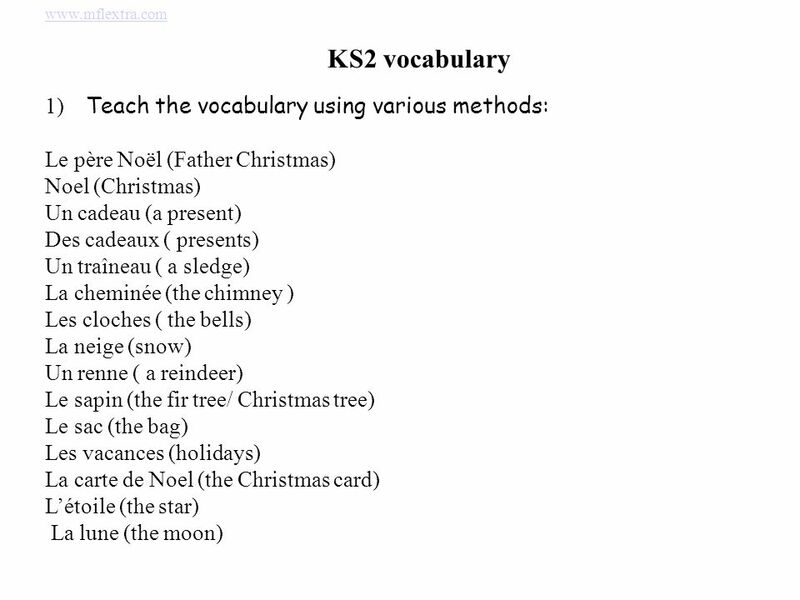 1) Dans la forêt il neige. 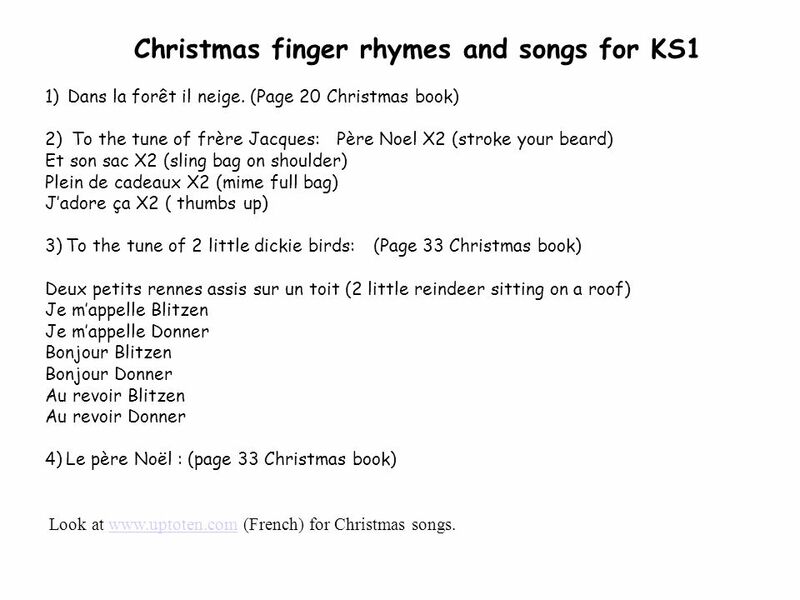 (Page 20 Christmas book) 2) To the tune of frère Jacques: Père Noel X2 (stroke your beard) Et son sac X2 (sling bag on shoulder) Plein de cadeaux X2 (mime full bag) J’adore ça X2 ( thumbs up) 3) To the tune of 2 little dickie birds: (Page 33 Christmas book) Deux petits rennes assis sur un toit (2 little reindeer sitting on a roof) Je m’appelle Blitzen Je m’appelle Donner Bonjour Blitzen Bonjour Donner Au revoir Blitzen Au revoir Donner 4) Le père Noël : (page 33 Christmas book) Look at (French) for Christmas songs. 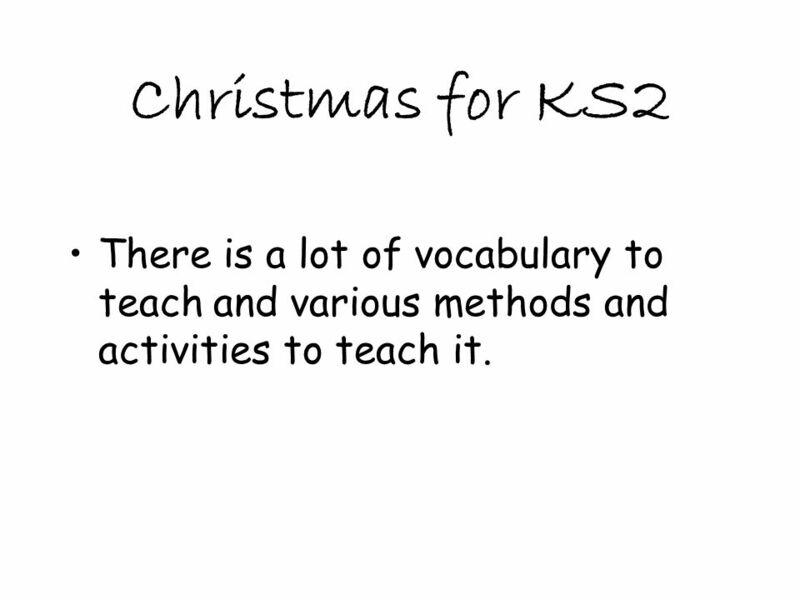 5 Christmas for KS2 There is a lot of vocabulary to teach and various methods and activities to teach it. 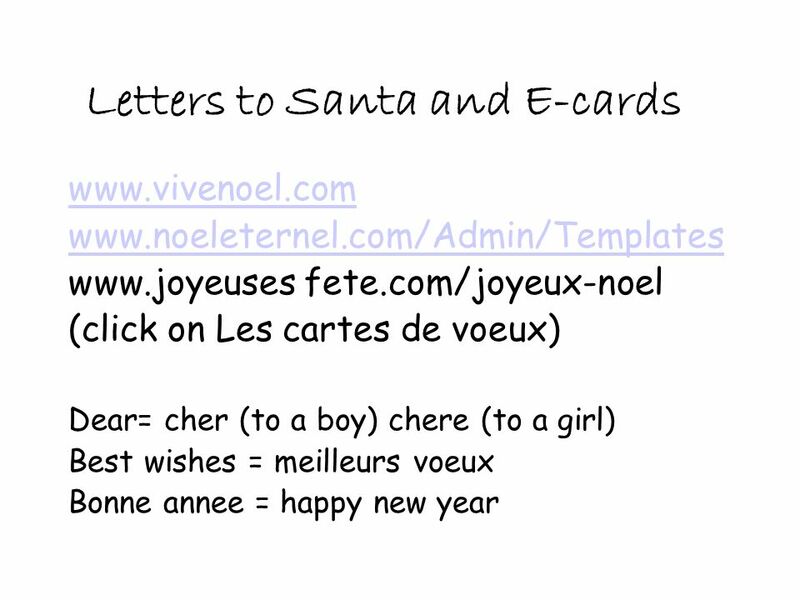 Télécharger ppt "Christmas for KS1 and KS2 learners"
Par Mme. 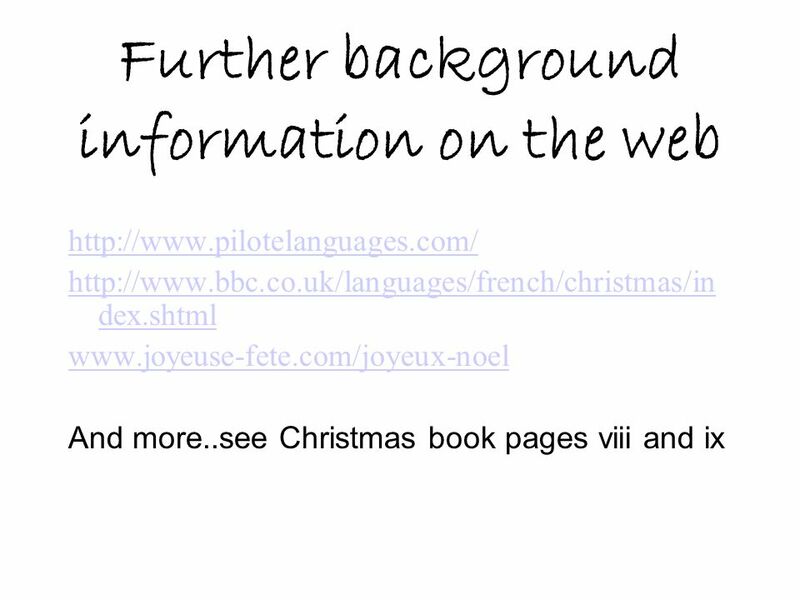 Cook The story of a French irregular verb Oui, oui! 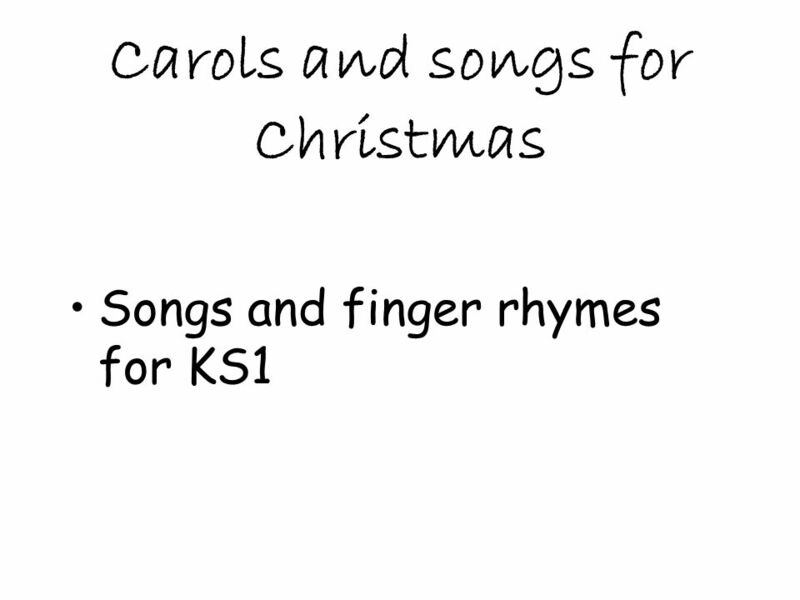 Its a very interesting story.